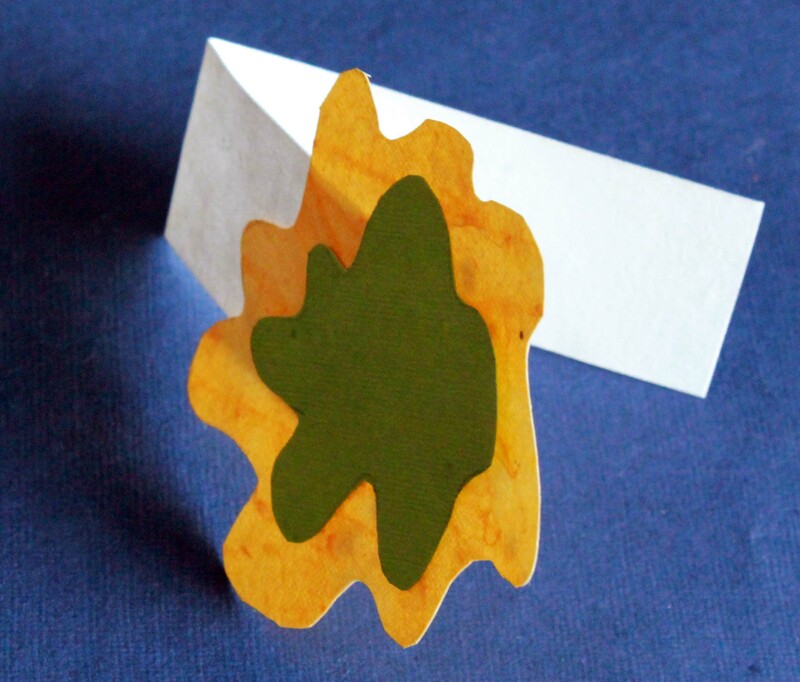 Create your very own snot bookmark as a present for little Princess Mucky! Cut out a rectangle of size 5 inches x 1 inch for your bookmark from a thick sheet of paper. Copy the shape of the glob of snot from the picture shown here onto a sheet of yellow or sickly green paper. Try and make your glob broader that 1 inch. You can even cut out two globs, one smaller than the other. Take some sticky tape and roll it to make it work like a double sided tape. Use it to paste your glop of snot onto the top of your bookmark. You could paste two of them like we’ve done in ours. Fold the bookmark over in the centre like shown. 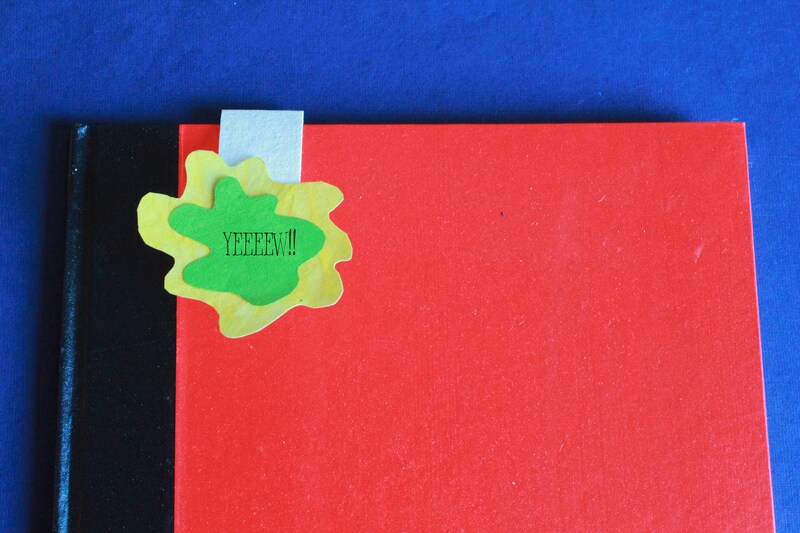 Stick it into your book and go YEEEW! each time you sit down to read.